Buiding larger engines for larger aircraft as opposed to smaller but many engines has proved to result in more fuel efficiency. Having established one of the main drawbacks or impediments to building larger engines are ground clearance for engines in light of aircraft/airliners in their current under wing configuration. This configuration in light of current technological advancements seems to offer the greatest advantage in terms of control of the aircraft, stability and weight closest to the center of gravity when flying among other things. If space to store the retracted gear were not a problem due to some new design, are taller gear for airliners necessarily undesirable for landing and take off? Do they present some technical problem if for example they were strengthened, the extra length would present some problematic leverage problems as they get closer to the pivot and "load"? The Tu-114 needed really tall gear to clear the really big props. The drawbacks are extra weight and volume, as described in the other answers. 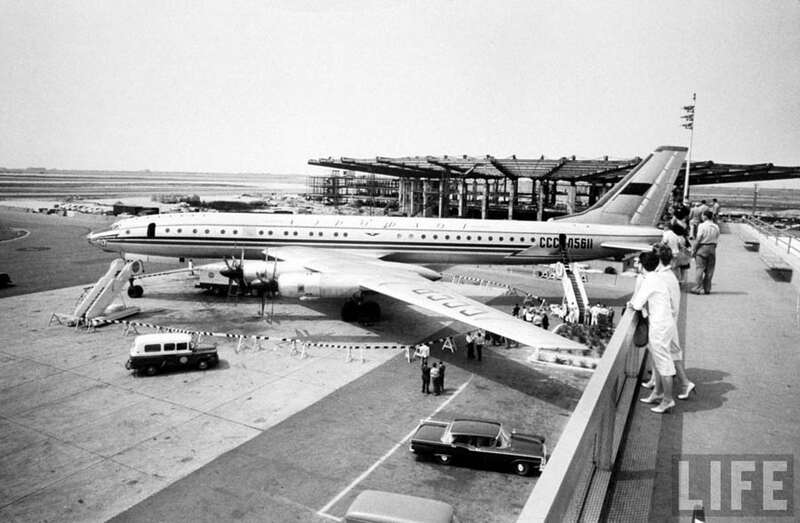 The Tu-114 was so tall, on its first flight to the US (the prototype was used to ferry Nikita Kruschev to the UN for some shoe banging) the available boarding stairs weren't tall enough. 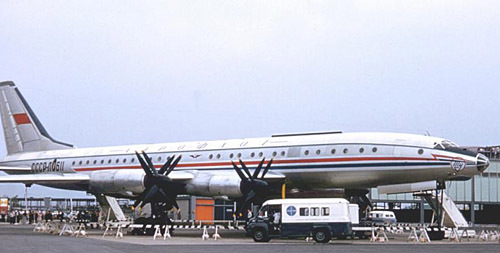 That arrival raised some eyebrows in the West because they'd done a nonstop flight from Moscow (the Tu-114 was the first aircraft that made that possible). It's just more weight and volume. The problem really arises when you modify an existing airplane with a new engine that requires more clearance. Changing the engine is not that big a deal (relatively speaking) when it is slung below the wing as its physical interface is through the pylon. It is an appendage. The landing gear are smack, dab in the middle of the fuselage, and changes in that will ripple through far more systems. It is literally right in the middle of things. Taller landing gear do present challenges due to increases in leverage and greater amount of space, but this has already been dealt with in large delta designs such as the XB-70 and is certainly not insurmountable. However, in the vast database of aeronautical endeavor there are solutions worth reviewing (wing? ah, review wing). Yes, many high wing designs would comfortably fit the larger engines. Secondly, the trend towards fewer wing mounted engines has deprived air craft designers of a key safety feature from the tri-jet, using thrust to push the nose down. Nose tractors (prop) have it as down thrust, rear pushers (prop or jet) have it as tail up thrust. Add power nose down. So let's look at the A-10 Warthog. Why not put the two large fan jets back there with future airliners! Notice many major airliner designs trace unbroken lineage all the way back to the Me-262. Every time I see one, I think this is the first jet airliner ever. A great plane indeed. But, with the development of more efficient and larger fan jets, designs such as the Ba-146 and many high winged transport aircraft can be brought into consideration to keep the thrust line in a manageable, safe, and even helpful configuration for wing mounts, if we wish to keep them there. I have no experience in aviation but just from physics, longer landing gear "legs" (I don't know the terminology) would mean that as the aircraft lands and experiences a force perpendicular to the landing gear, the torque on the landing gear would be higher. This could present a challenge in that the structural stability of the landing gear "leg" may be compromised from increased torque, especially if we're talking about a heavier aircraft. Not the answer you're looking for? Browse other questions tagged aircraft-design jet-engine airliner landing-gear or ask your own question. Why are military and civil aircraft landing gear generally so different? 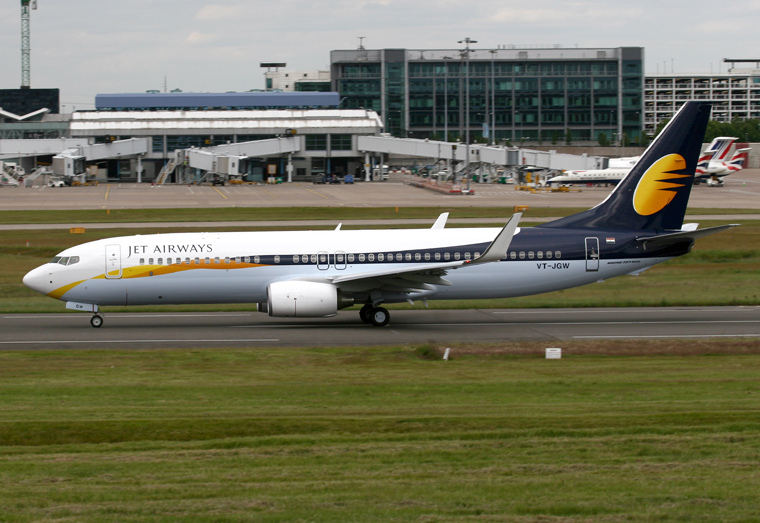 Are tracked landing gear systems still in use and development? Are there any aircraft with powered landing gear?